The three main goals, she pointed out are to ensure that the manufacturing and processing of food and non food products being consumed or used by Muslims are in accordance with stringent halal standards; to enhance the country’s share in the global halal market and eventually boost the Philippine economy, and to promote wider awareness and understanding on Halal thereby promoting and strengthening social cohesion in a multi-cultural country. 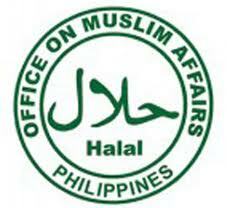 The NCMF is the lead government agency tasked to develop and promote the fledgeling Philippine halal industry which Lucman said, is sadly lagging behind its neighbors as Malaysia, Indonesia, Thailand and Brunei which have been reaping great economic benefits from their respective halal industries. Records show that Muslims presently number about 1.41 billion or 21 percent of the world’s total population. Halal industry in the country could not reach its optimum potential without strong government intervention and collaboration with experts and scientists. No amount of honesty and knowledge would suffice to establish the scientific aspects of halal or establish the halalness of a particular food or non-food products without benefit of laboratory equipment that only scientists or experts could efficiently operate.